Mayor Tari Renner, middle, at a March 2018 rally in support of the Welcoming City ordinance. 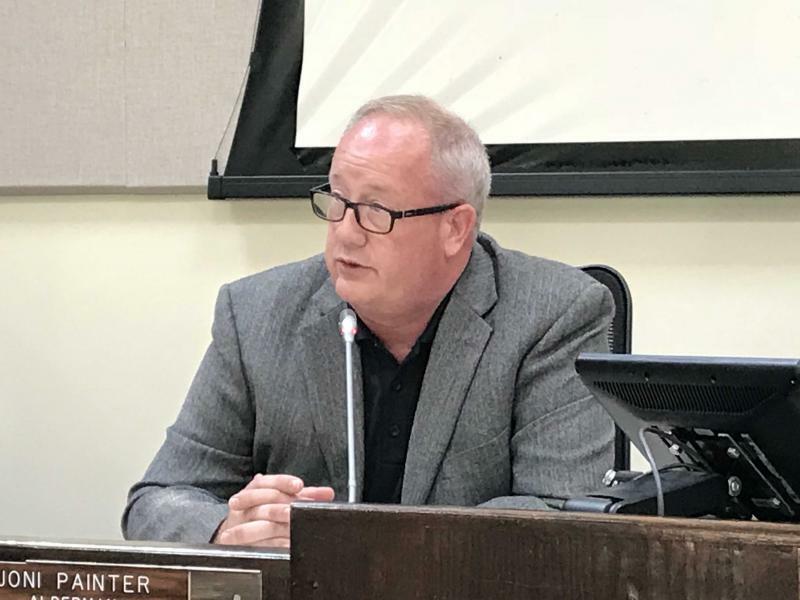 Facing a lack of council support and opposition from local Welcoming City activists, Mayor Tari Renner canceled Monday's planned vote on Bloomington’s immigration ordinance. It was the second time this year that Renner's plan to bring the ordinance to a vote has failed. A majority of aldermen banded together in February to cancel a planned discussion on a previous version of it. Renner called Monday's special session to vote on a new version, but it was quickly met with opposition from the Keep Families Together coalition. Maura Toro-Morn is a member of the coalition and a representative for the Committee Assisting Undocumented Student Achievement at Illinois State University. She said the ordinance would have been "disastrous for our immigrant families." 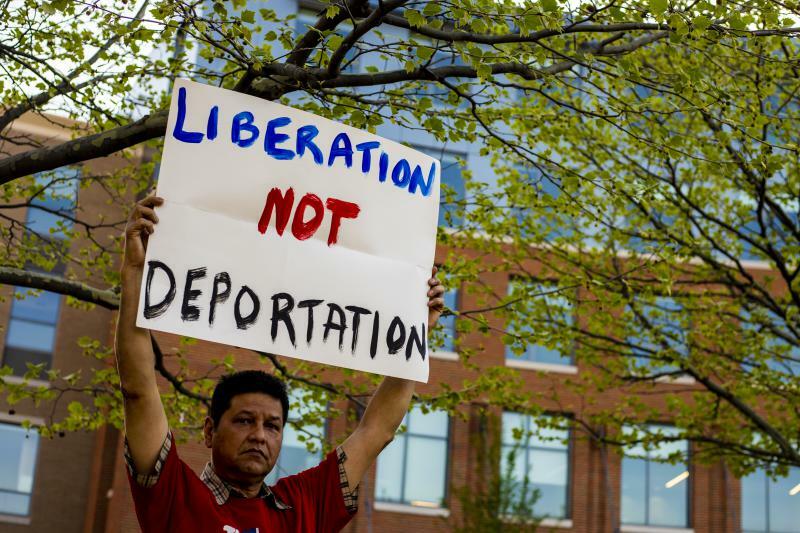 "This is actually an ordinance to give the keys to the city to ICE and say, 'Come into our community and do what you have to do,'" Toro-Morn said. Future meetings on this topic are not anticipated, the city said in a statement. Instead of an ordinance, Renner said he’s recommending that Police Chief Clay Wheeler “develop and widely disseminate” detailed policies and procedures regarding BPD interactions with federal Immigration and Customs Enforcement (ICE). “These policies and procedures should speak directly to the concerns of individuals who may fear reporting crimes,” Renner said. The Keep Families Together coalition said it plans to rally at 5:30 p.m. Monday outside City Hall. "It is not a question of that they know what to do. 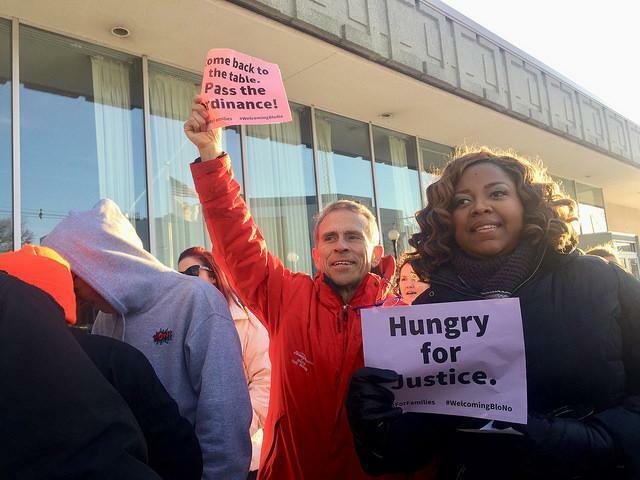 They clearly know that," said Don Carlson, executive director of Illinois People's Action, a coalition member. "Now the question is what they chose to do, and what they have chosen to do is nothing. Which is not an acceptable response." The Keep Families Together coalition issued a statement Friday opposing Bloomington’s three-page ordinance, days after Renner scheduled the special session. The coalition said the ordinance was drafted without its input. The coalition said Bloomington’s proposed ordinance “does not take any meaningful action to limit collaboration” between BPD and ICE, “which is the very purpose of welcoming community ordinances.” It said Normal’s version—which passed with coalition support two months ago—did a better job controlling police-ICE interactions. “We really believe this ordinance, this version, does more harm than good, because it assumes the issue is resolved. But it’s not resolved,” Alvarez said on GLT’s Sound Ideas. UPDATED 8:30 p.m. | The pro-immigrant activists who pushed the Bloomington City Council to vote on a Welcoming City ordinance are opposed to the version being considered Monday night. Tim Gleason from Decatur has been named Bloomington’s next city manager.